NOTHING TO DO BUT MOVE IN! Welcome to this updated ranch featuring a nice kitchen w granite counter tops, glass tile back splash, ceramic tile floor & SS appliances. 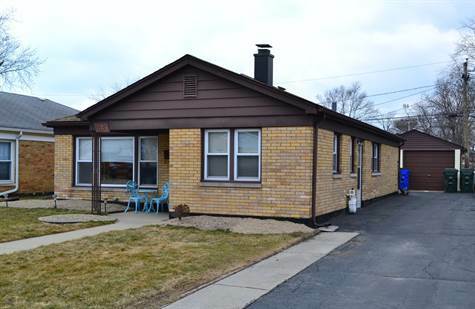 Solid brick home also features an updated bath with ceramic tile tub surround & updated fixtures. Central Air, HWH, & storm doors 2yrs. Side Drive for convenience & a nice little park down the street. Gleaming hardwood floors plus extra insulation added in the attic! A great home for the money!